For this year’s theme I looked for an architectural style that had an intrinsic link with corsetry. 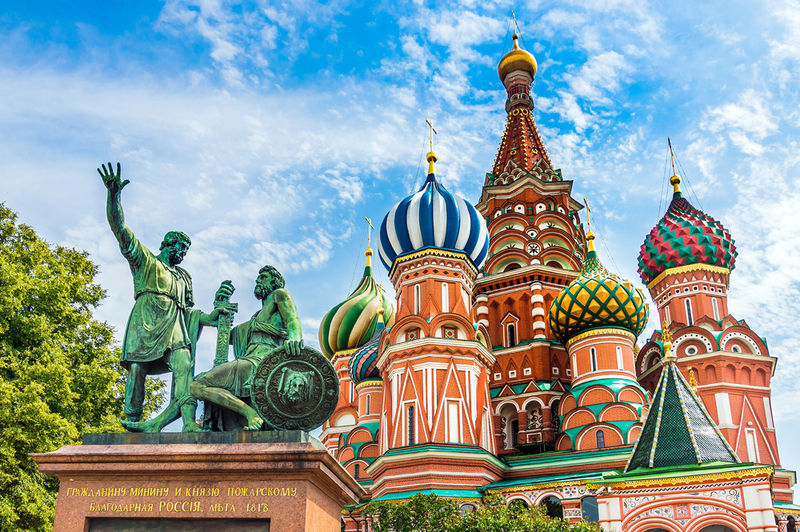 I found this link in the curves of the onion domes of Russian cathedrals. 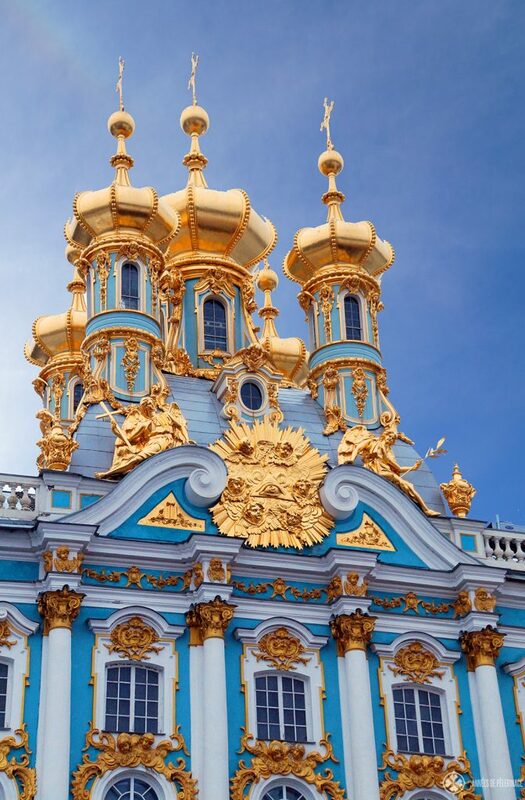 Saint Basil’s Cathedral in Moscow was the starting point, but after more research I fell in love with the golden domes of the chapel of the Catherine Palace in Saint Petersburg. The palace was built as a summer residence for Catherine I in 1717. Around mid-century, it was transformed to the Rococo palace as we know it today. Although the later ruling Catherine (II) the Great, considered this style too extravagant, I was intrigued by her life story and wanted to represent her in the corset as well. As the main fabric, I chose a very shiny golden faux leather I was saving for the right project. I added a pearl white leatherette to visually separate the parts. The golden decorations on the domes became lines of bright golden Swarovski pearls, enveloping the chest and following the curves of de hips. To contrast with the smooth surface of the corset, the cups were covered with smocked fabric. Matching the luxury of the expanding Russian Empire, the connection points were encrusted with German rhinestones. More than a mere mimicry of the architectural form, I wanted the corset to incorporate the strength and rulership of Catherine II. The strong, almost harnesslike torso shows the woman who dethroned her husband and became ruler of Russia. The pattern of this corset is based on a shape I developed last year by draping on an altered mannequin. From here, I adjusted and added seamlines to the shape of the domes. Construction-wise I also wanted the domes to reflect throughout the corset. This lead me to some very experimental techniques like padding the ribcage. Since visible boning channels would have compromised this goal, I went with a floating upper layer and a boned coutil inner layer. The inner layer follows the same seamlines as the shell, but in a more simplified manner. The layers are attached at the busk, at the lacing and at the binding. The pearls are hand-sewn through both layers. The smocked fabric was modelled and hand sewn over the cups. The corset features double boned boning channels on the inside of the corset (spiral steel), flat steels in the backside and some piping made of plastic-coated wire. I would like to thank my mother for helping me out with some last-minute work with the pearls and give a big shout-out to Kika and Lara for the marvelous pictures. Read more about this corset adventure in my dress diary. Your craftsmanship is really superb, this is extremely well sewn and it looks incredible. Congratulations . Thank you so much - congratulations on your wonderful entry as well! Your stitching is perfection- this is a phenomenal piece and I am completely in awe and in love! Thank you ! I am often insecure about my topstitching, especially in synthetic leather, so I'm very happy that you like it! I love the texture on those cups! Your construction and stitching is absolute perfection! Achieving such a smooth and perfect silhouette in synthetic leather isn't easy and together with the striking design lines and texture of the pleating and pearls it really makes for a striking design. Congratulations ! A corset fit for a queen indeed! Really great use of the materials and colours to create striking shapes and texture - I really love the woven "domes" of the cups and the tiny ball trim - it's a great representation of the original architecture. Awesome work! Wow, I love everything about this corset. Gorgeous panelling and sleek lines, and I love the smocked cups. So smooooooth, and you did it in such a tricky fabric, outstanding! And I absolutely enjoyed reading about your journey in dress diary, thank you for sharing! Thank you for your kind comments and for taking the time to read my dress diary, glad that you liked it! This is so smooth and beautiful, it almost looks as if it were crafted from metal! It looks like her torso is made of gold and marble, incredible ! And the pearls are the perfect decoration, beautiful. How have you made it so sleek! Your model looks like she's cast out of gold. The cups do the domes great justice and I love how you've gilded the seams with the strings of gold beads. Such a fabulous inspiration. So sculptural! The details are beautiful and your work is perfect! WOW this is stunning and very inspiring. is a masterpiece and it really lift this corset to a whole new level of inspiration and learning. Thank you for writing and sharing this diary with us it is a really good detailed read on how you have sewn your corset. Superb workmanship, those cups are just amazing...wow! Extraordinary craftsmanship! The smocked cups are incredible!! Glorious! What beautiful stitching on this tricky material and stunning overall look!